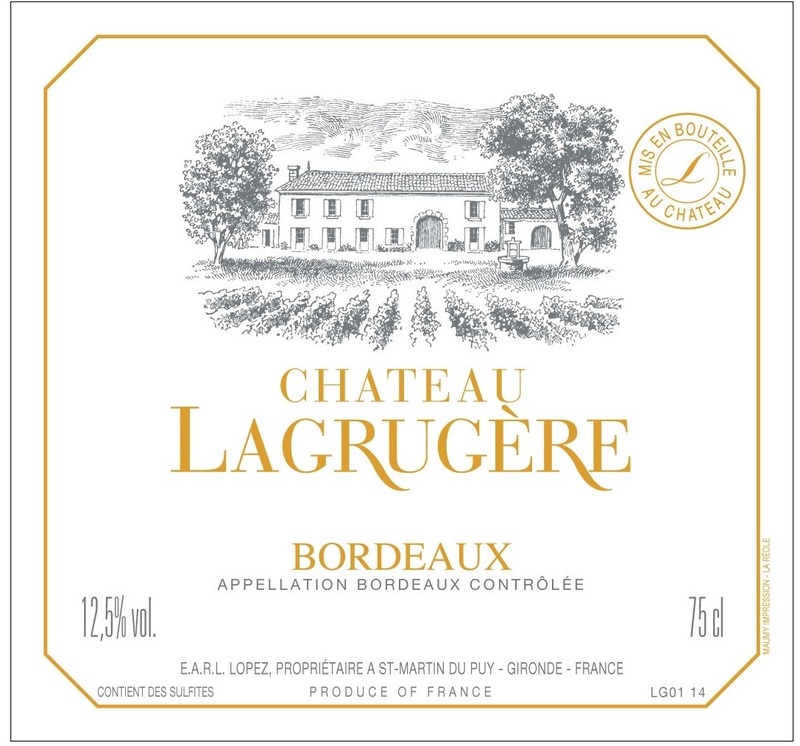 Château Lagrugère is located in the heart of the Entre-Deux Mers region just east of Bordeaux, the broad region of rolling hills and mixed farming between the Garonne and the Dordogne rivers, hence the name “between the two waters” or “between the two seas.” Today a château in the Entre-Deux-Mers will often produce both a red and a white wine, depending on the nature of the terroir. Ch. 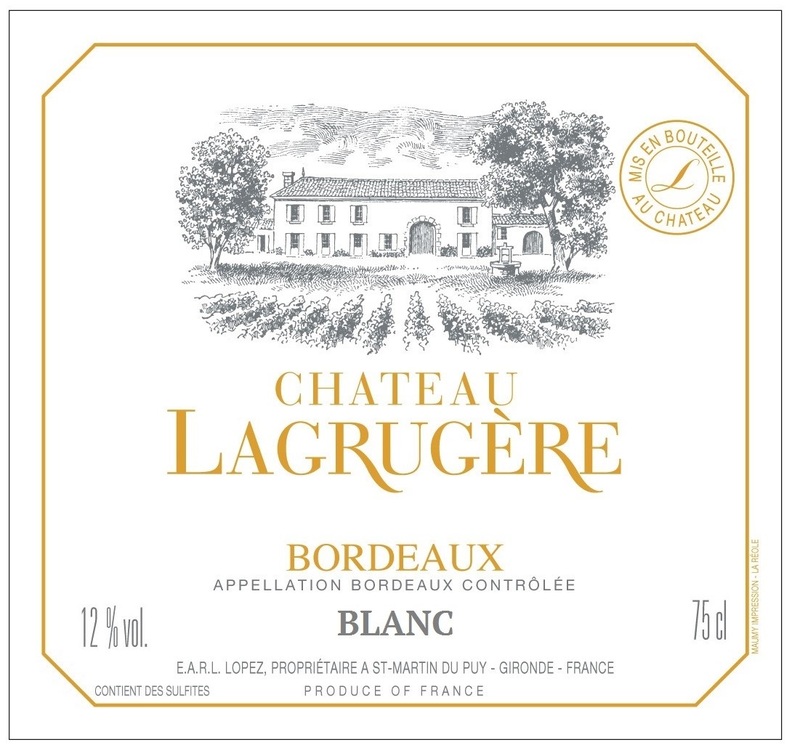 Lagrugère is planted with the classic Bordeaux varietals Cabernet Sauvignon and Merlot in the heavier clay soils and Sauvignon and Semillon where there is gravel and limestone present.